These books are designed for the first-time performer or weekend warrior who's learning how to play in a band. 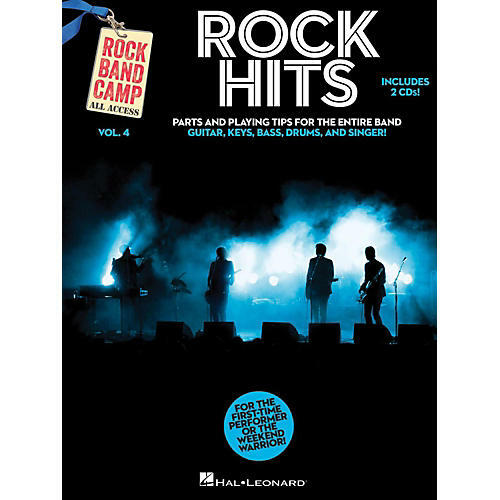 This volume includes parts and playing tips for the entire band: guitar, bass, drums, keyboard and singer! Each book comes with two CDs that contain full-band tracks for each song as well as "minus-one" tracks for each instrument for each song so players can practice on their own between band rehearsals. Five songs, including: Beautiful Day (U2) • Billie Jean (Michael Jackson) • Clocks (Coldplay) • It's My Life (Bon Jovi) • Smooth (Santana).